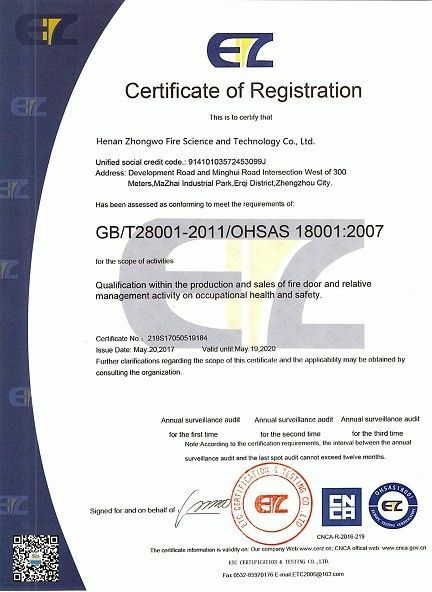 Zhongwo wind resistant fire door passed the wind resistant test, airtight performance test and watertight performance test according to GB/T 7106-2008. 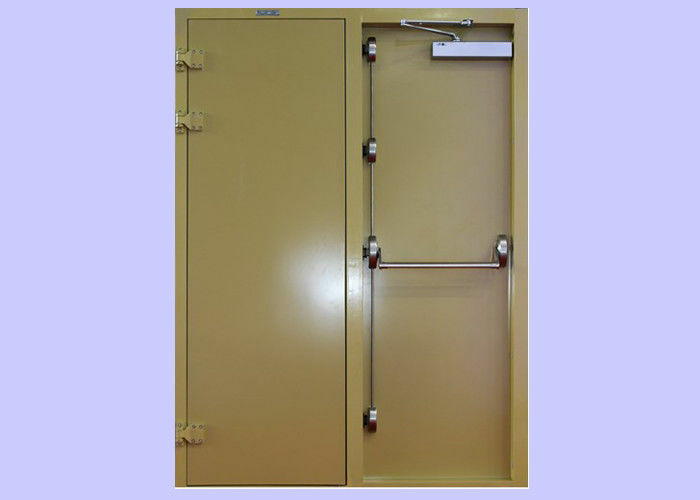 It can be used at emergency exit of subway tunnel or others where high wind pressure occurs because of many characters and features. High Wind Resistant Performance: In the door frame there are U-steels and in door leaf reinforcing skeleton. High Fire Resistance Performance: There are 53mm thick fireproof perlite board in door leaf. Smooth Appearance: The door leaf adopts structure without steel surroundings. Quality Surface Treatment: Surface of the door leaf and door frame are all dealt with anti-corrosion and anti-rubst process. 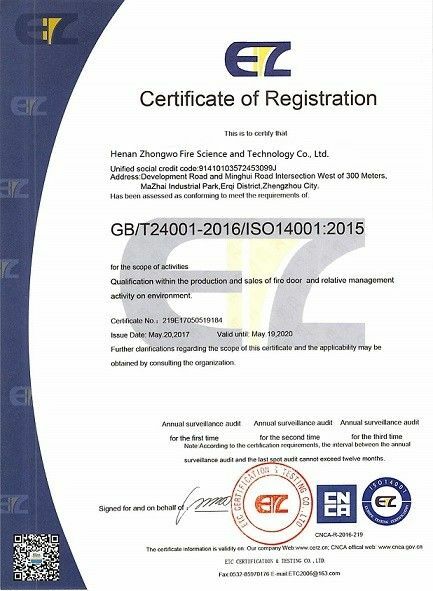 More than 20 years experience in fire door industry.